Earlier today I was at Barnes and Noble in the magazine section. 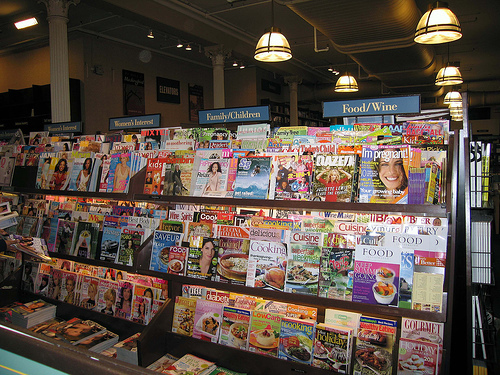 I couldn't find a single magazine that advocated for me to consume less. Not one. A couple years ago PBS Frontline took an inside look at the marketing and advertising industry, the result was this 90-minute special called The Persuaders. With 2008 being an election year, the fifth segment is probably the most interesting one. It features Frank Luntz, a political consultant and pollster. If you plan to vote, you need to watch that video. Here's the point: companies and politicians are spending billions of dollars to get you to buy things or to think a certain way. Do they really have your best interests in mind? What are their motives?